This hard surface extractor by Sandia delivers a whopping 1200psi of water pressure to clean the toughest ground in dirt on hard surfaces. 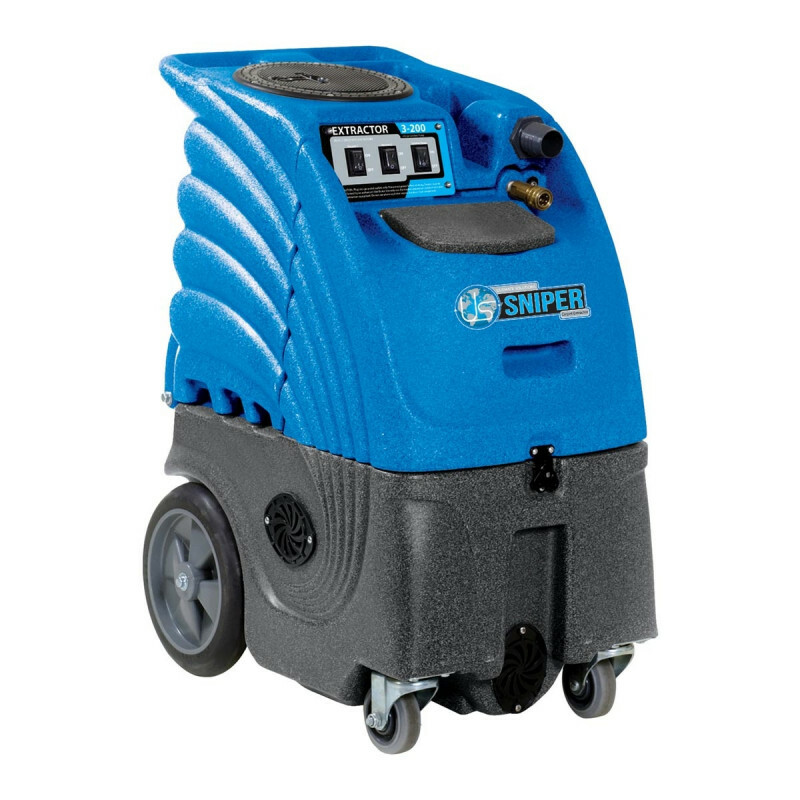 The most common application for this machine is to power out dirt from tile and grout. Sandia makes both a hand held grout scrubber tool and stand up grout scrubber wand to go with this machine (sold separately). Two 25-foot power cords come with this 1200psi hard surface extractor. One power cord is for the adjustable water pump and the other is for the vacuum motors, allowing you to draw more power from 2 separate circuits for this heavy duty machine. The dual vacuum motors include one 3-stage motor and 1 2-stage motor for extra cleaning and extraction power. An indicator light on the machine lets you know when you've correctly plugged into 2 separate circuits for safety. Roto-molded polyethylene housing gives you years of use in any cleaning environment. Also included is a 25 foot vacuum/solution hose, in-line clear view filter, 50 foot auto-fill hose, and 50 foot auto-dump hose. The auto-fill and auto-dump hoses allow you to hook up a supply hose directly to a water source, as well as having the machine automatically dump the waste water when the tank is nearing full. This allows you to continually clean (within reach of your water supply) without having to stop and refill and dump your tanks. For other, smaller machines take a look at the whole lineup of tile & carpet machines that we have to offer. Powerful 1200 psi adjustable pump. Full 12 gallon solution and recovery tanks. 2 vacuum motors, 1 3-stage and 1 2-stage. 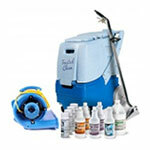 Includes 25 foot long vacuum & solution hose. In-line clear view water filter. Includes 50-foot auto-fill hose and 50-foot auto dump hose. 2, 25-foot power cords need to be plugged into separate outlets.